CENTRO SQUARE CONDOS WOODBRIDGE VAUGHAN, PHASE-2 REGISTATION IS OPEN NOW!!! 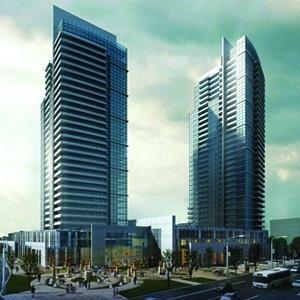 CENTRO SQUARE CONDOS GREAT OPPORTUNITY TO LIVE & INVEST IN VAUGHAN!!! Welcome to Centro Square Condos, Vaughan an extremely inspiring new condo project by Liberty Development Corporation located at 7777 Weston Rd, Vaughan, North East corner of Hwy-7 and Weston Road, walking distance from Vaughan upcoming Subway and new Vaughan Metropolitan Center and moments away from some of Woodbridge’s finest social and recreational amenities and just a few minutes away from many attractions in the City of Vaughan and easy accessible to York University and University of Toronto. Close to major highways hwy-400, hwy-407, hwy-427 and hwy-401. The project in pre-construction stage and will be ready for living by 2015. This project is comprising of approx. 783 condo units in total with two residential towers - 30-storey (North Tower)/Tower-B consist on approx. 333 condo units and 33-storey (South Tower)/Tower-A consist on approx. 450 condo units and 10-storey Office Building. The project will provide a mixture of residential condominium units, commercial office space and large and small retail spaces. The Vision Of Centro Square - The intersection of Weston Road and Highway 7 has been one of Woodbridge's most coveted corners, and with the emergence of Centro Square, this intersection is poised to see a transformation that's beyond the imagination. When all phases are complete, two iconic residential towers and an office tower will rise from a majestic two-storey podium, which includes a spectacular, sustainable outdoor green rooftop terrace. 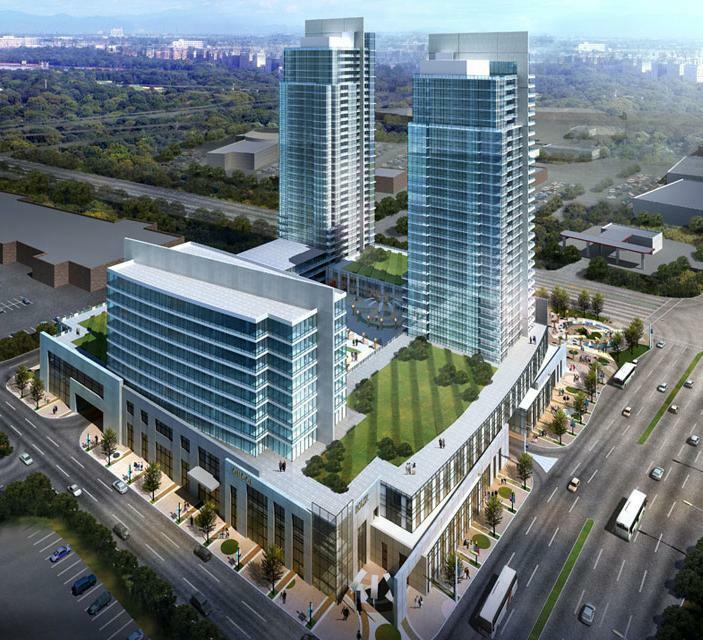 Announcement: CENTRO SQUARE CONDOS -7777 Weston Road, Woodbridge Vaughan. PHASE-2 VIP Broker Preview on MAY 21, 2013. Register with us to access prime units, on Special VIP Broker pricing and incentives. After a succssful sale of Phase-1 of Centor Square Condos Woodbridge Vaughan, PHASE-2 Registertion is open now for VIP Broker Preview pricing and incentives. If interested Must Register as soon as possible using the attached form. Prime location Units are limited applications will be considered on first come first basis. For more information about building features, Floor Plans and VIP price list Kaleem Salahuddin @ 416-992-9860. 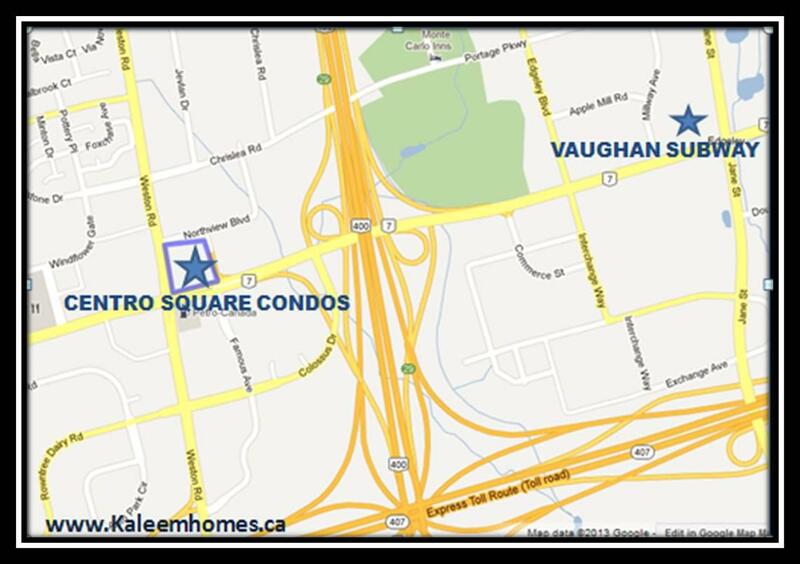 *CENTRO SQUARE CONDOS VAUGHAN* GREAT VALUE AND INVESTMENT OPPORTUNITY IN VAUGHAN CLOSE TO SUBWAY!!! Centro offers a wide selection of suite designs, embellished with urban flair and detailed with exquisite finishes. Spacious, open concept layouts and natural radiance from large windows lend an aura of luxury and sophistication. Gourmet kitchens come with gleaming granite countertops, modern Euro-style cabinets, ceramic tile backsplash and stainless steel appliance package. Spa-inspired bathrooms sparkle with marble countertops, luxurious white deep soaker acrylic tub and more. Ranging in size from 470 to a generous 1100 square feet, every suite is crafted to offer the ultimate in elegant condominium living.